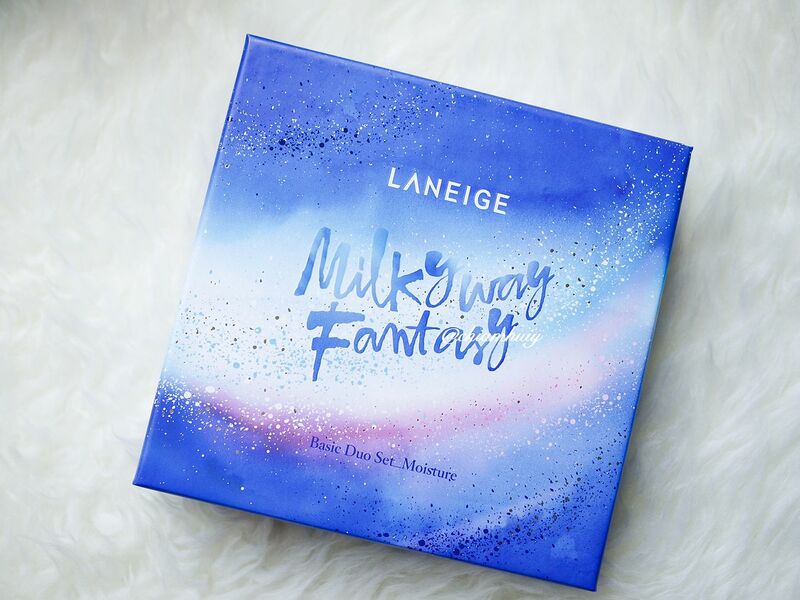 I'm pretty sure many of us have already came across LANEIGE’s new Milkyway Fantasy Holiday Collection this year. Just look at the stunning galaxy design, all that sparkle and glitters! 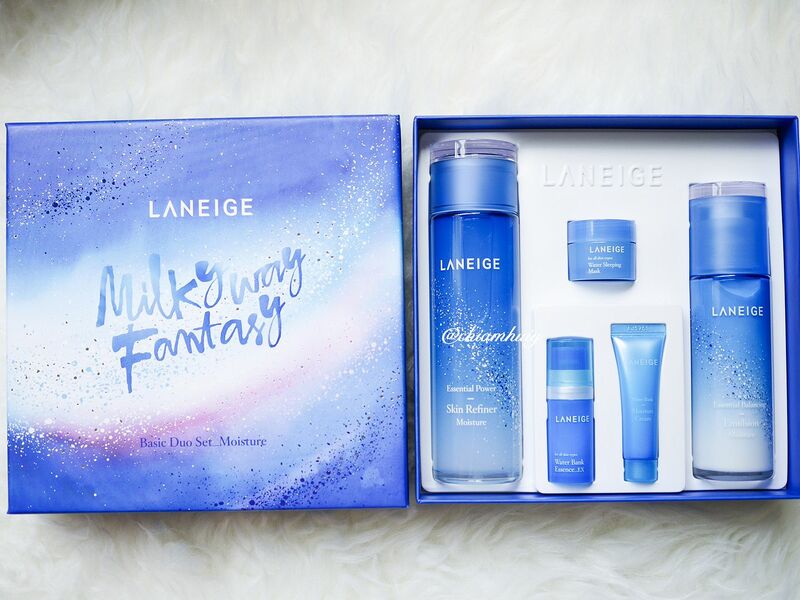 It's truly one of the most beautiful holiday collection I've came across this year and I really wanted to show you each and every item featured in LANEIGE’s Milkyway Fantasy Holiday Collection. 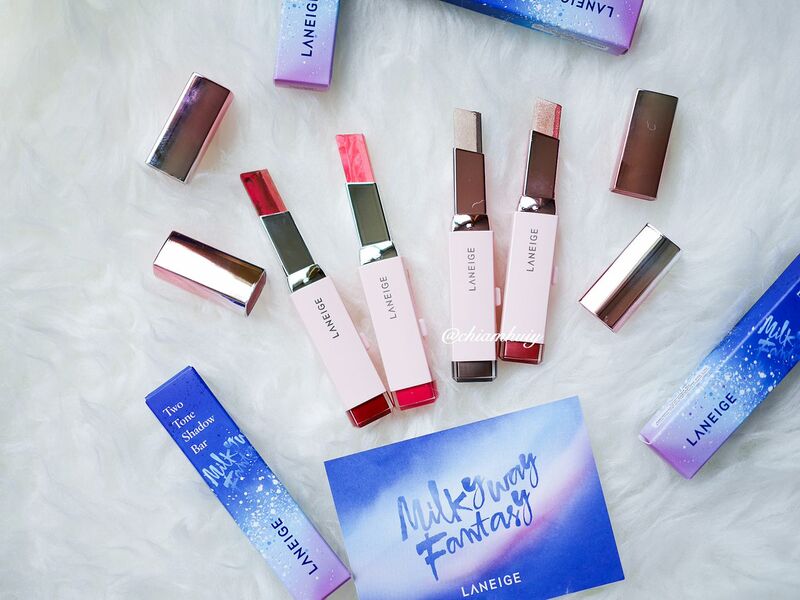 Before I start, if you are interested to get any of these items, you can actually get them on Lazada and enjoy gift with purchase. 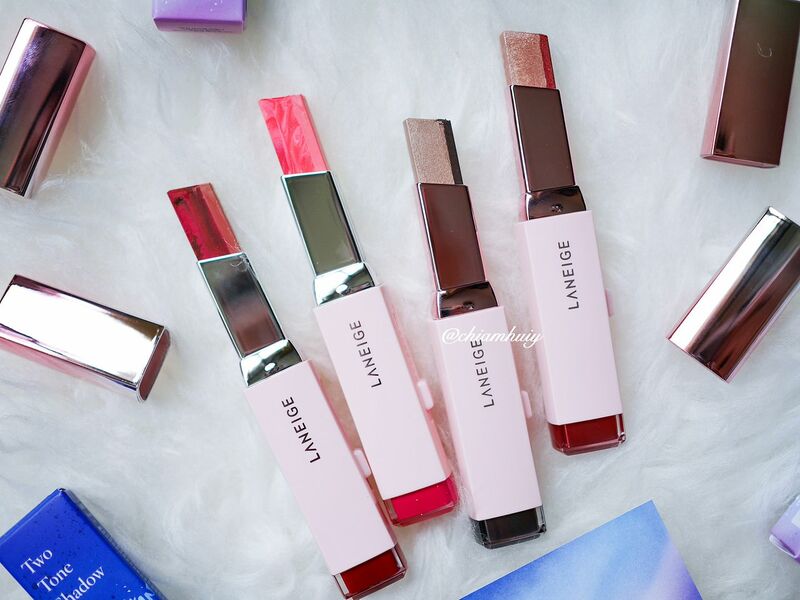 This is the perks of shopping Laneige on lazada. 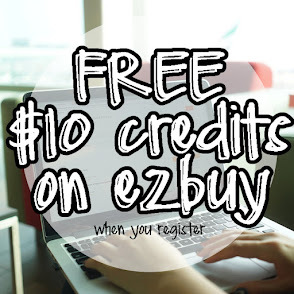 For the exact same price, you get a few gift with purchase! 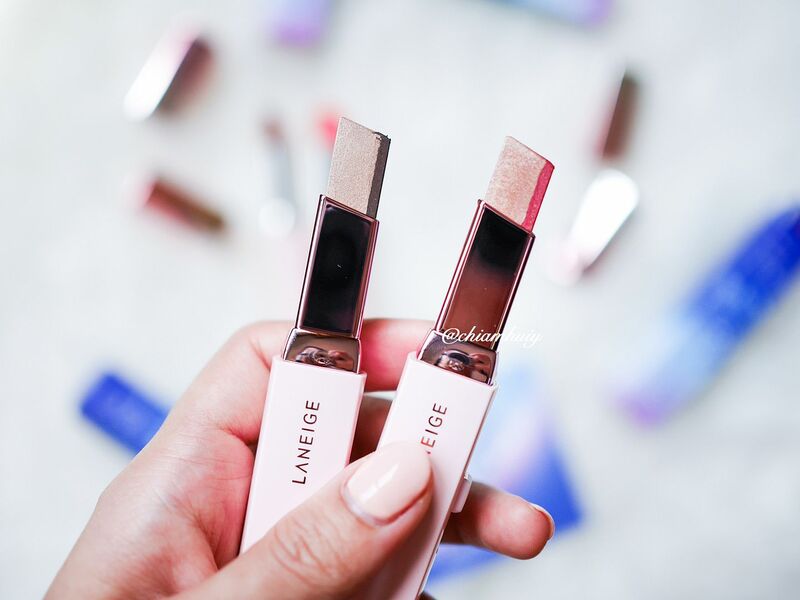 For all other LANEIGE items, enjoy 10% discount if you use the code "CELLAZ" when you check out on lazada! 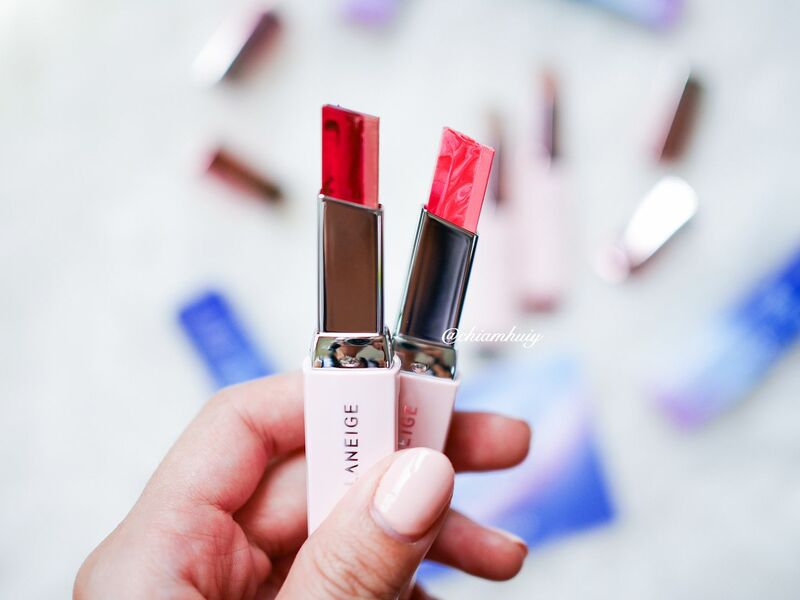 One of the key highlights about this collection is the marbling design on their signature Two Tone Lip Bars. The holiday collection Two Tone Shadow Bar looks really nice with the shimmers. 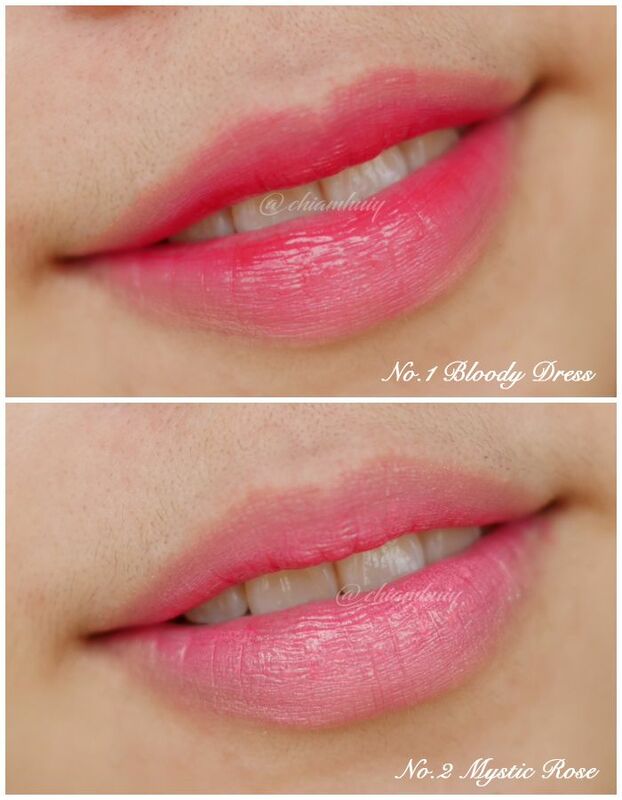 Because it's considered cream texture, it's easy to blend as well. 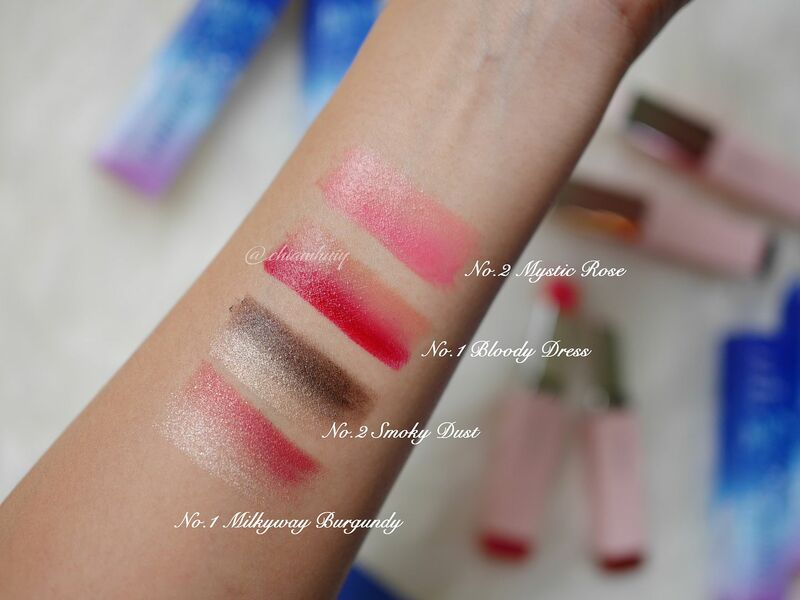 Notice the constant color in the eye shadows is this champagne gold color, which pretty much matches any other colours, serving is as the eyeshadow base. And because this is cream eyeshadow, creases are easy to form. 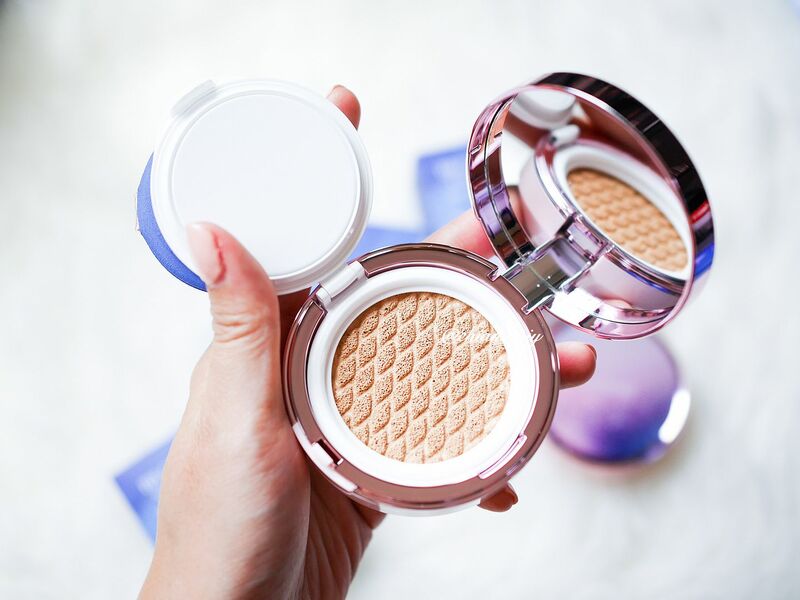 Make sure you complete your eye makeup by patting on some powder to make it more longer lasting. 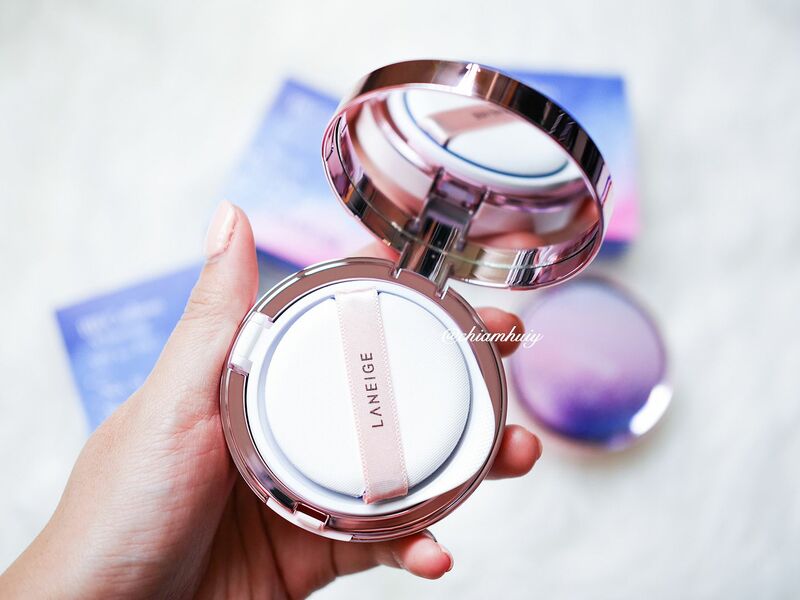 Don't we all love the rose gold and pastel pink packaging?! 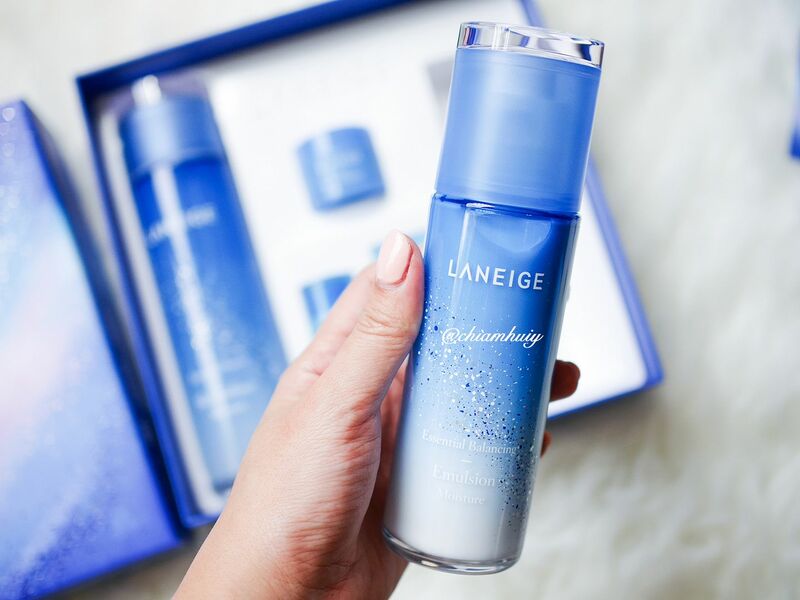 One of my favourite skincare series is actually Laneige's water bank series. This Basic Duo Set_Moisture is just the set that I need. 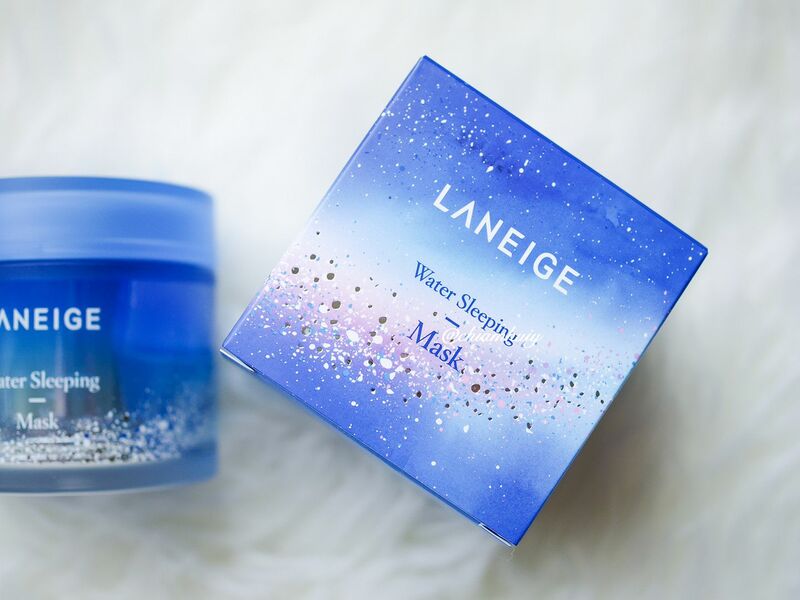 The skin refiner and emulsion works fine for basic skincare regime, but I'll still prefer to add on the water bank essence for extra moisture. Either way, this is a great set for gifting don't you think? The box itself doesn't require any wrapping. 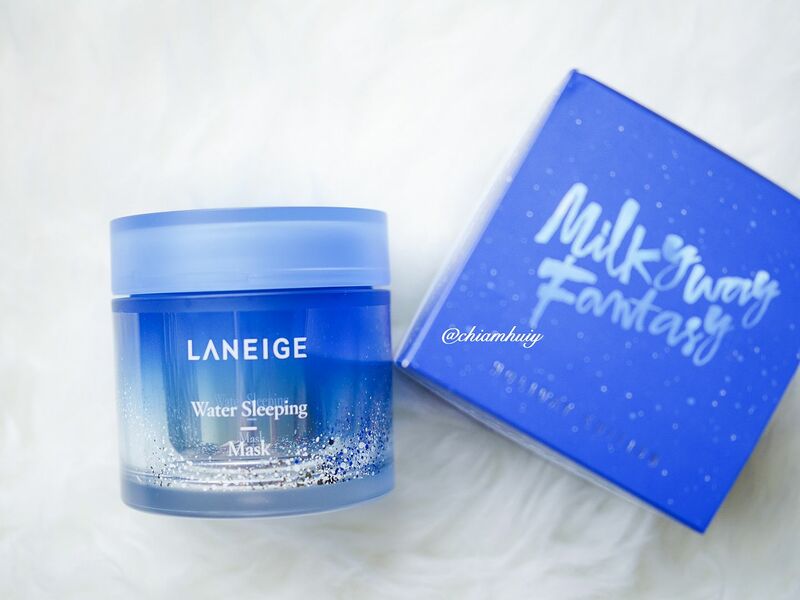 Other items featured in this Milkyway Fantasy Holiday Collection are the sleeping masks and BB cushions. Let's just say... 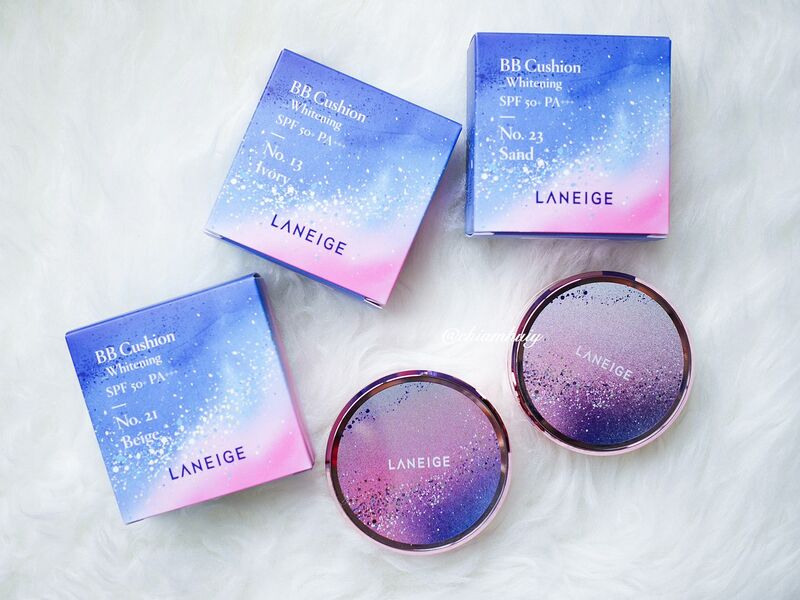 I fell in love with the BB Cushion casings in this collection. 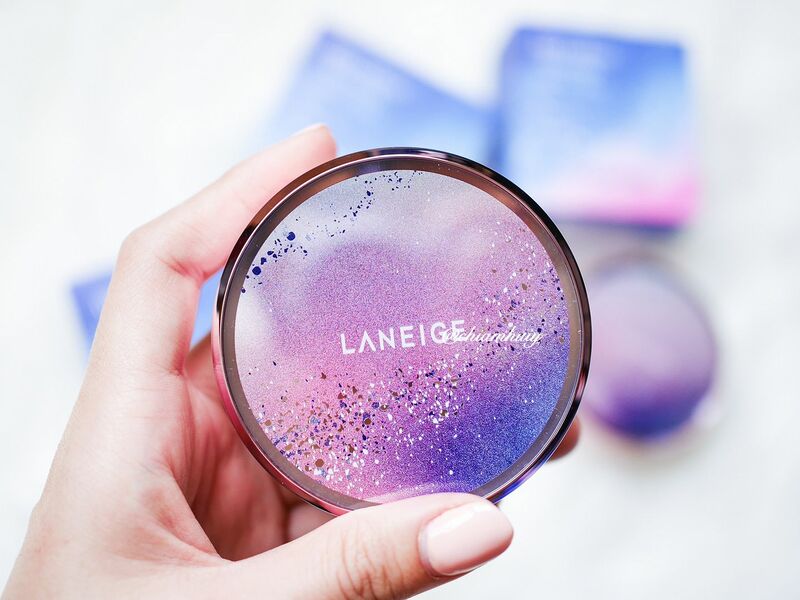 Not like the sparkling glitter design is not enough, they even pair it with rose gold packaging!? These are truly worth to keep as collection. Available in shade 13 Ivory, 21 Beige and 23 Sand. Sold as a single cushion without additional refill. 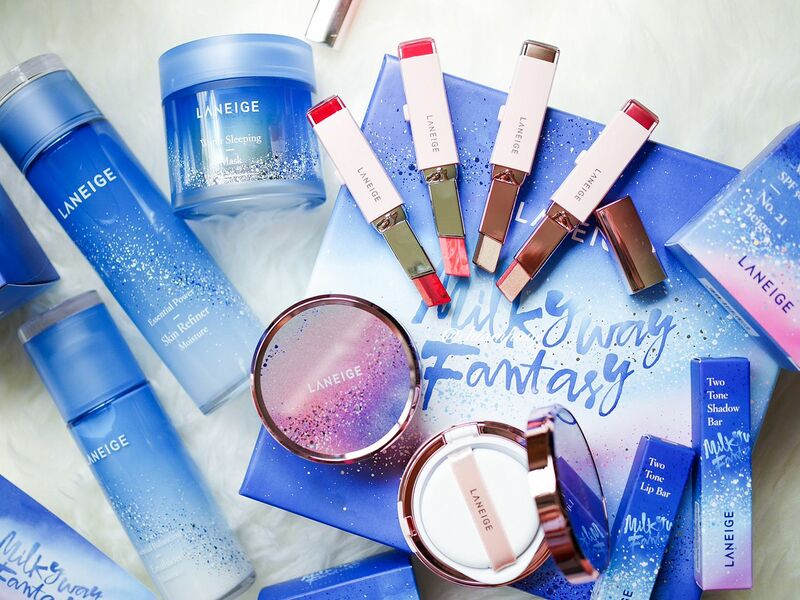 LANEIGE Milkyway Holiday Collection is already available at all LANEIGE boutiques, counters or Lazada.com. 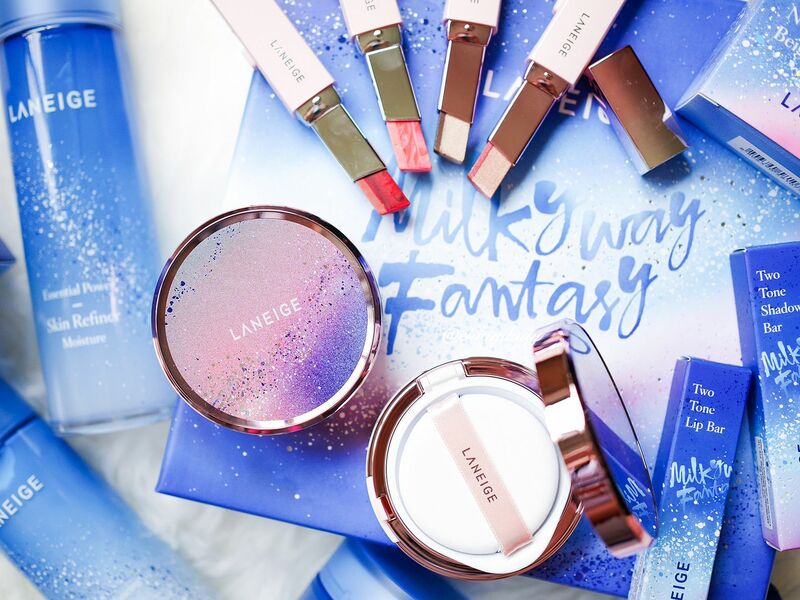 Make sure you grab them before this gorgeous collection goes out of stock! 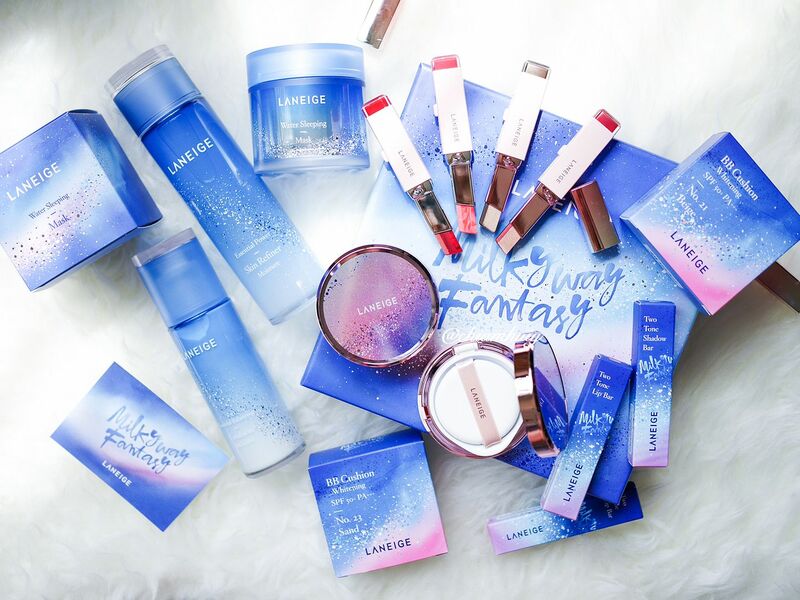 Thank you Laneige Singapore for sending over this lovely collection!